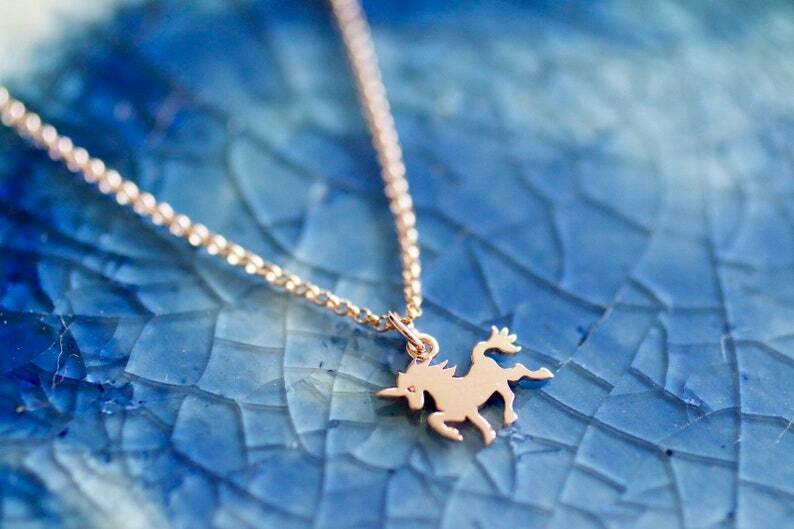 This Rose Gold Unicorn Charm Necklace is to die for...we love ours and so do our little girl and big girl fans. The unicorn is a perfect silhouette and just the right amount of fairytale with a cool factor. Girls to moms to even grandmas can rock the unicorn - it gives us a smile every time we look down on ours. Rose Gold Unicorn measures 15mm. Pick your necklace length from 16 or 18 in Rose Gold Filled Rolo Chains.